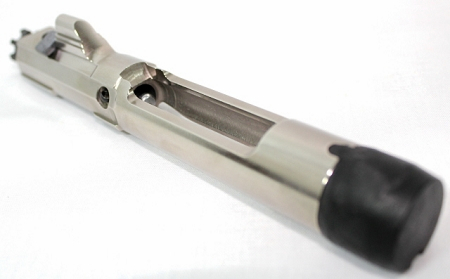 Our Low Profile Piston Series is a fixed bleed off piston system. If one is looking for a quick 4-position regulating gas piston system with silencer setting we highly recommend our patented C.A.P.S. or L.P.R. piston systems. Truly is an amazing setup. After buying This I will never go anywhere else, like my title says Lamborghini of AR15. I've studied and tried different kinds of upper but this one is the one That got me speechless. Thank you to Teresa and Charles for all the help, best customer service! Definitely recommend all their product to anyone. Kit installed on a S&W M&P15T AR-15 5.56 by Blackrifle. It was a real pleasure to work with Tersa and Charles. Thanks for the "new gun/rifle". I really like the improved performance of the piston action. Between the piston, buffer, and tripod I am no longer a "bolo". It would have been nice to have had this rifle on the range when I was in the Army. I would have qualified the first time. I had no problem qualifying with the M1 and M14. But it took me three tries with the M16. Anyway, my shot groups are nice and tight now. Thanks again. The piston/buffer was worth the wait.